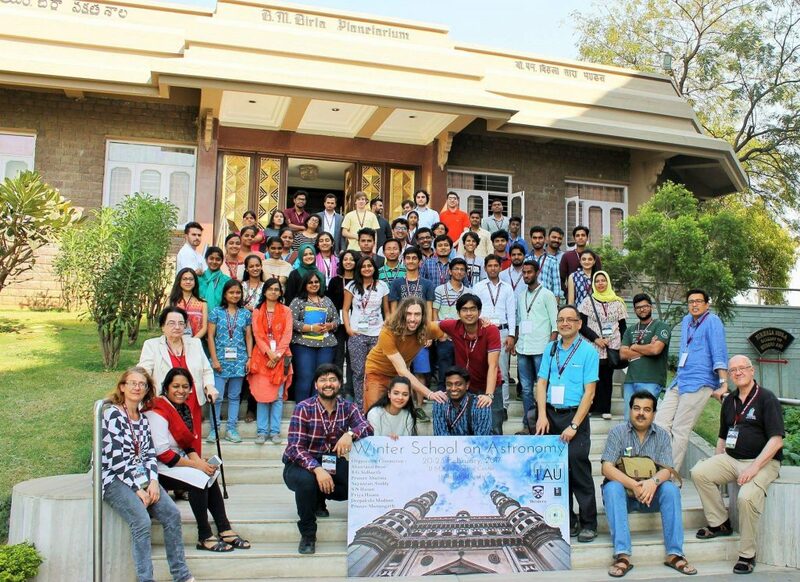 The Astronomy Winter School in India, or Astrowin, was held in Hyderabad, India, on February 20-23, 2017. This was the second in a series of schools, the first of which was held in February 2016, in Agra, India. The Astrowin events are actually a combination training school for Bachelors and Masters degree level students, a research workshop, and a cultural experience. Accessibility to participants from diverse backgrounds is a founding principle of the schools. The diversity of the school reached new heights in 2017, with a fully gender-balanced participant list and 11 different countries represented by the students and speakers. These countries were Bangladesh, Canada, Egypt, India, Indonesia, Iran, Malaysia, Nepal, Philippines, the UAE, and the USA. The largest contingent among the 70 students was from India, followed by Canada. The Indian students also represented the length and breadth of the subcontinent, from Maharashtra to Manipur, and Punjab to Tamil Nadu. The 2016 school had been sponsored by generous funding from Anand College, Agra, India, and Western University, Canada. In 2017 the school was funded by the International Astronomical Union – Office of Astronomy for Development (IAU-OAD), giving it a greater international profile.